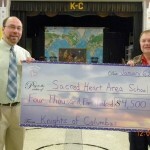 On Thursday, January 6th, the Knights of Columbus donated $4,500 to Sacred Heart Area School, for all the children’s efforts in selling the 2012 K of C Raffle Calendar. 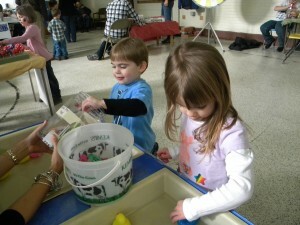 We are very grateful to the Knights for all their help throughout the year in keeping our school on track. We also want to thank Giovanni’s Pizza for all the pizza certificates that were used as student incentives to motivate students to sell!